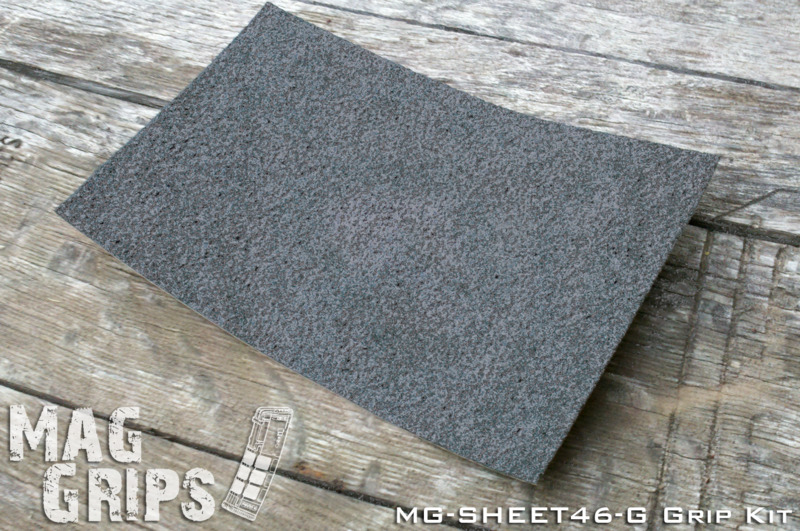 This grip kit is designed for custom applications. The 4"x6" piece can be cut by you to be applied to things like the bottom of an ammo box's ect. 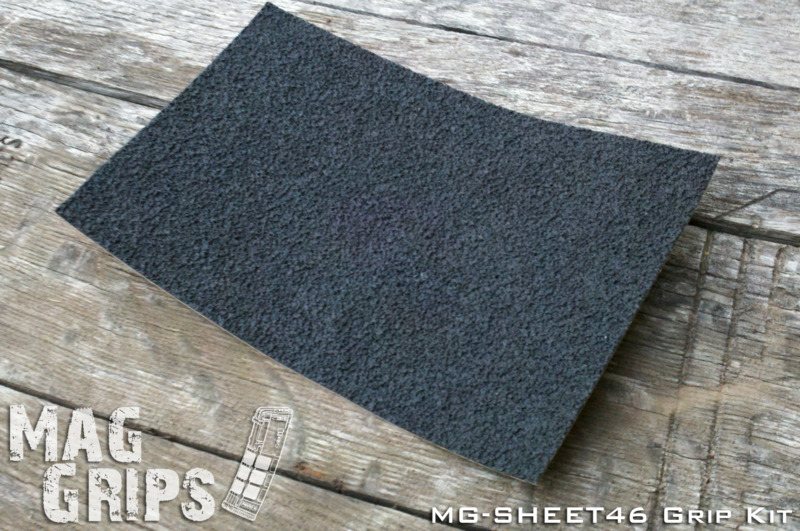 The rubberized textured grip panel features 3M industrial strength adhesive. 3M Industrial Strength Pressure Adhesive.